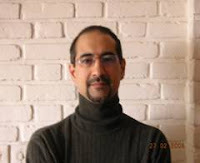 The Iranian scholar, Dr. Kian Tajbakhsh, who studied with me at Columbia University in New York in the 1990s, was arrested by the authorities last month in Tehran. Kian and I had stayed in touch over the years and I spent a pleasant evening with him in Tehran this February discussing everything under the sun but especially his ongoing work on urban local government in Iran and the danger posed to Iran and the Middle East by the Bush administration's policies and actions. Though his one-time affiliation with the Soros Foundation is likely being held against him, I can state with complete confidence that Dr. Tajbakhsh is an Iranian patriot and is as opposed to the U.S. policy of "regime change" as any self-respecting Iranian. Most of all, I find it impossible to believe he could be involved in any attempt to subvert the Islamic Republic of Iran. A number of us in India who know him well had written to the Iranian ambassador in Delhi last month urging his release. Now that he has been in jail for over a month, we decided to hand over a letter with the signature of over 150 prominent Indian artists, writers, Shia clreics and public figures -- all friends and well-wishers of Iran -- calling for Dr. Tajbakhsh's release on humanitarian grounds. NEW DELHI: More than 150 prominent Indian artists, intellectuals and public figures have written to the Iranian authorities seeking immediate release of jailed scholar Kian Tajbakhsh. Arrested on May 11, Dr. Tajbakhsh is one of the four Iranians with dual American nationality who have been charged with working to undermine the government of the Islamic Republic of Iran. 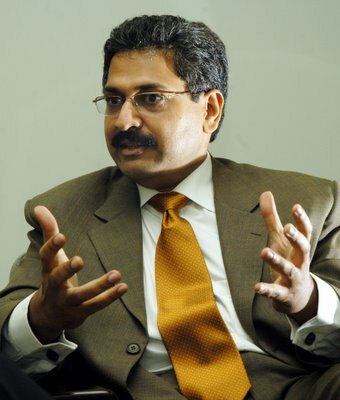 He lived in India in the 1990s and is well known in academic and cultural circles here. In the letter, which was handed over to Iranian Charge d'Affaires Reza Alaei on Thursday, the signatories expressed deep concern at the incarceration of Dr. Tajbakhsh. While recognising Iran's "sovereign right to secure itself against any perceived threat to its welfare and safety," they described the imprisoned scholar as a "man of integrity and an Iranian patriot incapable of indulging in `espionage' against his country." India, the letter notes, is a friend of the Islamic Republic of Iran. "Those of us from India — academics, artists, intellectuals, journalists, professionals and the most respected Shia leaders — calling upon your Government to release Dr. Tajbakhsh are all friends of Iran and of the Iranian people. Many of us have taken public stand against the American-led `global war on terror' and against its hegemonic agenda of `regime change' in Iran or elsewhere," it says. The signatories include Shia cleric Maulana Kalbe Sadiq; writers Khushwant Singh, Arundhati Roy, Dilip Chitre and Gulzar; journalists Saeed Naqvi, Tarun Tejpal, Farah Naqvi, Siddharth Varadarajan and Praful Bidwai; artists Tyeb Mehta and Jehangir Sabavala; filmmakers Saeed Mirza and Govind Nihalani and academics Achin Vanaik, Nivedita Menon and Anuradha Chenoy. "Whatever be the nature of the questioning that Dr. Tajbakhsh must undergo, surely it can happen outside the prison walls," the letter states. "We take this occasion to make a personal plea to your Government on humanitarian grounds. Dr. Tajbakhsh and his wife are expecting their first child a few months from now. The stress and strain of his imprisonment can only harm the health of both mother and child," it adds. Despite an assurance of communication given to us by Mr. Asadi, there has been no news or response from your Embassy regarding Dr. Tajbakhsh’s wellbeing or release. We recognize that it is your Government’s sovereign right to secure itself against any perceived threat to its welfare and safety. We also respect the pressures under which the Islamic Republic of Iran is operating, for these are difficult times not only for your country but indeed, for all peace loving citizens of the world. And when global battle-lines are drawn in this manner, suspicion rather than trust becomes the prevailing norm. However, even in these difficult times we urge your Government to recognize the difference between friend and foe. India is a friend of the Islamic Republic of Iran. Those of us from India - academics, artists, intellectuals, journalists, professionals and the most respected Shia leaders - calling upon your Government to release Dr. Tajbakhsh are all friends of Iran and of the Iranian people. Many of us have taken public stands against the American led ‘global war on terror’ and against its hegemonic agenda of ‘regime change’ in Iran or elsewhere. When voices like ours throw themselves behind a campaign to release Dr. Tajbakhsh from an unjust incarceration, we do expect a favorable hearing. When people like us are willing to stake our credibility to vouch for Dr. Tajbakhsh as a man of integrity and an Iranian patriot incapable of indulging in ‘espionage’ against his country, our voices, the voices of friends, should count for something within higher echelons of the Iranian Government. We respectfully request you to communicate this to Tehran. As you can see from the number of prominent Indians who have come forward to sign this letter, a campaign against the continued incarceration of Dr. Tajbakhsh is gaining momentum in India and in other parts of the world. While we are happy that this is so, we are also aware that the existence of such a campaign will become an effective tool of propaganda in the hands of those who do not wish Iran well. We certainly do not want this to happen any more than you do. We urge you to release Dr. Tajbakhsh from incarceration. Whatever be the nature of the questioning that Dr. Tajbakhsh must undergo, surely it can happen outside prison walls. We take this occasion to make a personal plea to your Government on humanitarian grounds. Dr. Tajbakhsh and his wife are expecting their first child a few months from now. The stress and strain of Dr. Tajbakhsh’s imprisonment can only harm the health of both mother and child. We hope that the Islamic Republic of Iran will show itself to be a kind and caring nation and, on these grounds alone, allow Dr. Tajbakhsh to reunite with his wife and family at this time. We once again look forward to an appropriate response from your Government. But this is the regime you are batting for Sidd, be it the issue of nuclear enrichment or Indo-Iran gas pipeline construction. Can we now believe that now the article has been published in India's "NATIONAL NEWSPAPER" by India's Western returned anti-imperialist Siddhardh Varadarajan, the mullahs in Iran would realise him immediately. If you thought an article in The Hindu was going to make an impact in realising Dr Kian, then you are mistaken. When it comes to dealing with anti-democratic regimes like Iran, only the West is in a position to deal with them. See how Serbia has been transformed into pieces in the last ten years. As the CPM has strongly criticised the proposed visit of Nimitz, you can expect your editor to come up with an editorial on this soon. Also see the critical letters you would see in the ratio of 1000:1 (1 supporting letter for every 1000 opposing the visit). You should be ashamed to work in such a paper with 'high integrity'. Sidd, it is high time you jumped the ship like Rajamohan. What a shame sidd your paper is arguing the Pratiba Patel as if the contest was already finished. Thank you so much for posting this and for all your efforts on Kian's behalf. His friends and family here in New York have been moved and heartened by the displays of solidarity from Kian's friends and colleagues in South Asia. Well done Varadarajan. It is glad to hear that some one from The Hindu is fighting for freedom and Justice. I wonder whether you will spend some time to write something on Anna Politkovskaya's death in Russia. Is it allowed in your paper? The tone of the letter betrays the awe of the so called "eminent" persons towards the paradise mullocracy. Perusing the letter, one is left wondering what the purpose of writing the letter actually is! At one point the authors of the letter acknowledge the "pressures under which the Islamic Republic" operates and go on to add that "these are difficult times" not only for the Mullocracy but also for "all peace loving citizens of the world". I guess that "peace loving citizenry" would ,however, exclude the populations of Iraq, Lebanon and Israel who live under the constant terror of "brave phreedom phighters" aided, abetted and vetted by the theocratic magnificence of the Islamic Republic! It is rather sad that the credentials of the authors as friends of the mullocracy has to be guaged by their anti-American stand on everything under the sun; or is it a pointer to the intellectual maturity of both the senders as well as the intended recipients? Varadarajan has been a strong advocate of Iran's clandestine nuclear program; although for some mysterious reasons best known to him he insists on calling it 'peaceful'.Maybe it's time that he and his ilk ask the mullocracy for some favour in return for playing willful idiots! After all, the mullocracy can do with the good wills of self-proclaimed NATIONAL NEWSPAPERS and intellectuals once it is called to account for it's actions. Thanx to the intenet that one gets to know the true colors of these 'eminents'.Thanks a ton. Send me a private mail and I would be happy to answer any questions you have that are not related to this specific posting. There is no point cluttering the comment section of the blog with material that is irrelevant. I do read and admire Siddharth's writings. I do not agree with what he writes or that of his newspaper but The Hindu is perhaps one of rare newspapers which one can actually read for the depth and width of the coverage it provides. This is a nice and great article. Thank you for your beautiful post. Keep up the good work.